20th Century Fox's X-Men franchise is in limbo for the time being. We got Deadpool 2 in theaters this past summer, but the next two movies have been delayed due to reshoots, and there's rumors that the studio may even scrap X-Men: Dark Phoenix, the next true sequel in this saga, and The New Mutants, a horror-themed spin-off. While we await those films at the local cinema, it's a good time to revisit what started it all, the original X-Men trilogy, which is getting a beautiful 4K makeover. Coming this Fall, Twentieth Century Fox Home Entertainment is releasing these three fan favorite films in 4K Ultra HD. Grab the enhanced X-Men Trilogy on September 25th. Relive the original X-Men excitement with the first three films starring Hugh Jackman and Halle Berry. Follow the group of mutant outcasts as they learn to control their powers in the first X-Men. Then, watch as the X-Men join forces with their enemies to save all mutants in X2: X-Men United. Finish the trilogy with X-Men: The Last Stand, as the discovery of a "cure" for the mutation starts a war. This set is loaded down with Special Features that include Audio Commentaries, Behind-the-Scenes Footage, Deleted/Extended Scenes, The Mutant Watch, Animatics, Character and Production Design Stills. They are children of the atom, homo superior, the next link in the chain of evolution. Each was born with a unique genetic mutation, which at puberty manifested itself in extraordinary powers. In a world filled with hate and prejudice, they are feared by those who cannot accept their differences. Led by Xavier the X-Men fight to protect a world that fears them. They are locked in a battle with former colleague and friend, Magneto who believes humans and mutants should never co-exist. 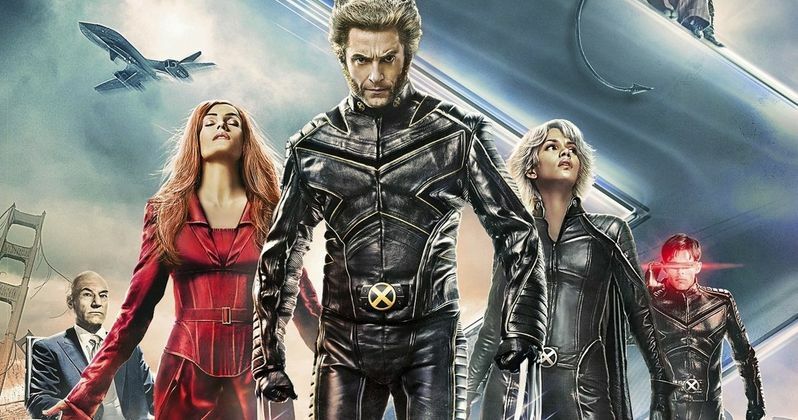 It all began with X-Men in 2000, with the Bryan Singer directed movie rejuvenating the superhero genre and kick starting a new era in big screen story telling. X2: X-Men United arrived in 2003 also under the direction of Bryan Singer. Stryker (Brian Cox), a villainous former Army commander, holds the key to Wolverine's (Hugh Jackman) past and the future of the X-Men. This threat re-ignites the call for a mutant registration act. Stryker starts a full-out assault on Professor Xavier's (Patrick Stewart) mansion and school. After escaping his plastic cell, Magneto (Ian McKellen) proposes a partnership with Xavier and the X-Men to combat this new formidable enemy they both have in common. The original trilogy came to an end in 2006 with X-Men: The Last Stand, under the direction of Brett Ratner. The discovery of a cure for mutations leads to a turning point for Mutants (Hugh Jackman, Halle Berry, Famke Janssen, Anna Paquin, Rebecca Romijn, Kelsey Grammer). They may now choose to give up their powers and become fully human or retain their uniqueness and remain isolated. War looms between the followers of Charles Xavier (Patrick Stewart), who preaches tolerance, and those of Magneto (Ian McKellen), who advocates survival of the fittest. You can check out the art for the 4K box set of X-Men movies below, direct from Fox Movies. So, before the current X-Men saga continues next year with Dark Phoenix and The New Mutants, return to where it all began, with a new release that makes these movies look better than ever before. It's time for an old school X-Men party.